From essentially zero, we've passed a watershed of more than 3.3 billion active cellphones on a planet of some 6.6 billion humans in about 26 years. This is the fastest global diffusion of any technology in human history -- faster even than the polio vaccine. The above is from a wonderfully sweeping roundup of the diffusion and impact of mobile phones on our planet--Our Cells, Ourselves: Planet's Fastest Revolution Speaks to the Human Heart--that appeared in the Sunday edition of the Washington Post. I'm quoted in the article a couple of times as a result of an engaging, sweeping and long conversation with the author, Joel Garreau. Joel is as much a social scientist as a journalist and I fondly recall reading his book Edge Cities: Life on the New Frontier. If you wonder why a social scientist who fell in love with the Internet ends up years later spending much of his waking hours thinking about and talking about these little gadgets called mobile phones, this article paints the picture. Or, as I emailed Joel: "Finally something I can send my family to show them why I'm so excited about what I do everyday." Thanks Joel. I'm breaking my blogging drought having just met an imposing and important deadline that loomed immediately after returning from three weeks on the road. I was working on said project last night when I unexpectedly got a call around 5:30PM from the ever-delightful Mojo, who said something to the effect of: "So, Sia put me on the list for her show tonight and Matt's somewhere on the Sinai Peninsula, you wanna go?" Oh how I love Sia. I knew she was in town and have had her penciled in on my calendar for months, but in the intervening period I got super busy and the show sold out. Dia was busy with a networking event until late and I only had a giant pile of work to do so . . . since nothing clarifys the mind like a deadline and since I was already working under one, why not add another? 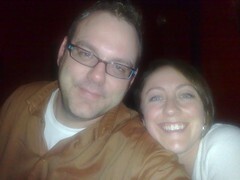 I focused, cranked, and we met up at around 9PM and went to the show. Not being a music maven, I'm still somewhat in awe of the moments when I'm "on the list" and what could be better than being on the list for an artist you love with someone you love who you haven't seen in months? Nothing. Sia was stellar. 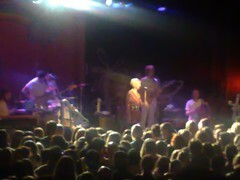 She was charming as always but more in charge of things on stage than at the previous performances I've seen. She's gettin' comfortable being a rockstar and that's a great thing to watch unfold. I've often found (and just as often forgotten) that live music is a tonic for the soul. When you are in the same room as someone who's inhaling the same air you're breathing but exhaling something glorious and ineffable it makes me, at least, feel grateful for being alive and being human. That was quite the trip, trips actually. Barcelona was non-stop and fantastic. I didn't do a thing that wasn't work related, but fortunately this included a couple of mind-blowing three hour dinners. Much good business was done, but little sleep was had. Coming off of three weeks of travel I shut down on Thursday and spent the day/night in Amsterdam sleeping more than I had the previous four day/nights. I'm currently waking up with some gorgeous coffee, curious if my post-brunch mood will leave me energized or crawling back to bed. Looking forward to being home for the rest of the month. In some alternate world I’d be a corporate tycoon with an army of assistants and a private jet. Or maybe an artist, throwing pots at my workshop in the woods and seldom finding a reason to go into town. But in my current reality I’m neither, and so right now I’m happily hunkered down in the bar of the airport Sheraton in Amsterdam drinking coffee, delighted to have found a comfortable seat next to a power outlet. Ah, simple pleasures of a postmodern world. I’m here, in one of my favorite cities in the world, for five hours until my flight to Barcelona. I’m in my fourth timezone in five days, not quite halfway through a business trip that’s so far had me, randomly, visiting the coolest art-filled house I could imagine in Atlanta and dodging ice falling from buildings in Chicago. Getting from Atlanta, where there were tornado warnings, to Chicago, where there was a massive snowstorm, took ten hours on Wednesday--two hours longer than it took to go from Chicago to Amsterdam. I marvel at the fact that I made it to Chicago at all given that over 1,000 flights were canceled. Despite my resolution to travel less in ’08, by the time I get home I will have been on the road nearly half of this new year. Thankfully, I love what I’m doing and am being diligent about scheduling downtime: A weekend getaway with Dia has been calendared and we’ve started planning a trip to (we think) Brazil next winter. I return to Seattle for a three-day weekend which will involve napping, exercising, and hopefully cavorting with friends. Later, I’ll let my mind wander to thoughts of strolling the beach at Ipanema, but now I focused on preparing for one of the busiest weeks of the year that, to my delight, will periodically feature one of my absolute favorite foods. I am a simple animal. Unfortunately I'll be out of the country when we caucus in Washington state, so I don't get a vote in the primaries. But I've voted with my wallet by contributing to Obama's run for the Presidency, and did this after a lot of consideration. By far the most important consideration was ending the madness and getting a Democrat in the White House. The way things seem to be breaking it looks like McCain will get the GOP nod and in a match up with Hillary, I think he wins . . . and the head to head polls suggest this as well. Obama is inspiring people--hell he got 14,000 people in Idaho to show up to a rally over the weekend. Hillary . . . I've been a Clinton supporter and apologist for years, but I'm just done. Bill's coded race baiting in South Carolina was the final straw. 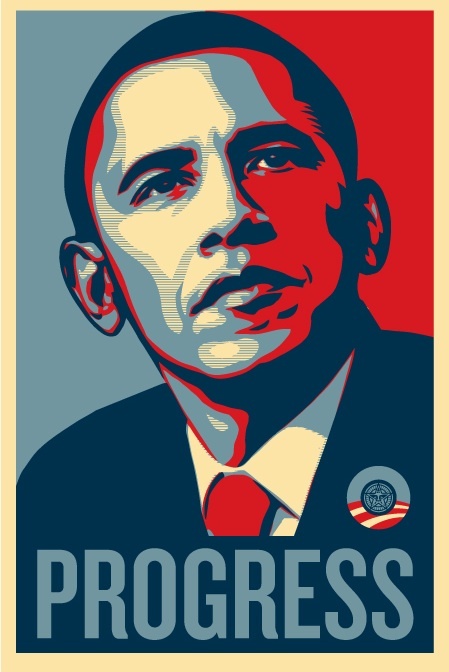 Sure, Obama is not terribly experienced (and in GWB we have an indication of how badly that can break), but at least he hasn't been completely bought and sold, yet. Having spent a significant time abroad in recent years, I've watched the decay of international respect for the USofA and I can think of nothing more game changing than having Barak take the helm of our country. His candidacy might also help us have a run up to November that highlights policy differences rather than personal attacks, or at least a rerun of the slams against the Clintons we've endured for almost two decades, some of them actually true. We now return to regularly scheduled non-political Joygantic broadcasts describing what I had for dinner or my latest delayed flight. On Friday I attended a memorial service for Don Matthews, one of the great people I've been fortunate to meet in my life. Don was a giant in the field of Political Science and I had the pleasure of learning from him and teaching for him at the tail-end of his stellar career, which lasted half a century. Matthews was a prolific scholar and published the classic book U.S. Senators and Their World, in1960. 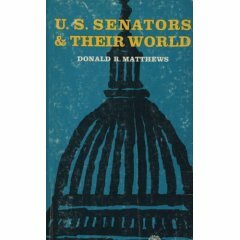 Lyndon Johnson called it "a landmark study of the US Senate" and upon publication the jacket contained a blurb from then-Senator John Kennedy. U.S. Senators explored how the Senate functioned and detailed the cultural norms, or "folkways," that helped the institution work. The book was masterfully written and retains its explanatory power even today, nearly 50 years after its first publication. It was such an approachable book that for a time (I've been told) you could buy a paperback copy in drugstores. Don went on to publish several other books and help build the department at the University of North Carolina into a national powerhouse. Our paths would cross because of a decision he made to chair the Political Science Department at the University of Washington. In the 60s and 70s, the department was a divisive and hostile place as were many political science departments during the midst of the Civil Rights Movement and the Vietnam War. The notion that "the personal is political" energized many, but for others represented an affront to the scholarly notion of detached analysis and observation. In Seattle at the time, activist professors in the department were known to lead protesting students to picket the houses of conservative faculty colleagues, and a local newspaper had a reporter routinely cover faculty meetings hoping to report on the internal strife which sometimes resulted in chairs being hurled across the room. In 1974, when I was a mere seven year-old, Don took the helm of the department, restored civility and professionalism, and over the years guided it as it rose to national prominence. In one of his first acts, Don assured the local newspaper reporter that he could stop attending faculty meetings since they were soon going to be "boring." He retired in 1996, four years after I joined the department. Toward the end of his life he donated more than $800,000 to creat an endowment for the department he rescued, funding a faculty chair (one fo the few nationally to be funded by an academic) and graduate student fellowships. He quipped at the time that he was surprised to be donating so much money to a university that had so consistently underpaid him. He was a great man and I feel lucky to have crossed his path and learned from him. What I learned, ultimately, had very little to do with academe or the field of political science, and this is what I shared with his family in a letter I've posted below.